Below is a guide to assist you planning your wedding day, but remember that we are always on hand throughout your journey to help make the whole experience a pleasurable one. Book your DJ or band. The bridegroom traditionally arranges hire of suits for best man, ushers & Fathers. Have a meeting with Harrowden Hall’s wedding co-ordinator to go through our thorough checklist to ensure that the day runs perfectly. Meet with best man, bridesmaids and ushers to finalise arrangements. Relax & enjoy one of the most memorable days of your life at Harrowden Hall. Initial enquiry made via webpage or telephone or in person, Isabel, our wedding co ordinator, makes contact within 2 working days of her receiving the enquiry. Our wedding co ordinators are here to support you right from initial contact through to your wedding day. Wedding and hall information sent out and viewing date booked. Viewing takes place lasting approx. 1 hour allowing time for full tour of the areas of the hall used for weddings, discussion of our wedding pack, viewing of photographs and ample time for questions. If a couple are marrying here they would need to contact the local registrar and book a time for their ceremony. Our co ordinators will follow up the viewing in 2 weeks with a courtesy email. Quote requested and sent within 2 working days, a provisional, no obligation booking is then made and this is held for 2 weeks. On formalising a booking a 25% no refundable deposit is requested. This payment is made via our accounts team, Amy and Christine on 01933 677234 ext. 1 and can be via cheque, credit/debit card or balance transfer. During the next few months couples are welcome to visit the hall as many times as they would like whilst they are making plans for their big day. Detail to be considered would include, wedding clothing and colour scheme photography, flowers, cake, music, disco/band, chair covers, table and Hall decorations. 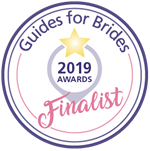 Our co ordinators are available to support and guide couples through this planning stage if you need them, Isabel is best contact via email, weddings@wellingboroughgolfclub.com. Trial meals are available on request, generally from approx. 6 months before the wedding. Trial meals are offered for up to 6 and cost £30 per person and include Prosecco and nibbles on arrival. The second payment is due 6 months before the wedding and our accounts team will contact you to request payment. 6 weeks before the wedding we will ask you to attend your final meeting with Isabel and Sue, this meeting will take about 2 hours and will cover all detail of your time at the hall on your wedding day. If the number attending this meeting could please be kept to a minimum. Please bring with you to this meeting, final numbers and guests choices ( if relevant), and special diets, table plan if ready, and any detail that you would like to discuss such as table setting etc, a list of all important contact such as florist, photographer etc. Following the final meeting Sue and the accounts team will amend your final payment to reflect change and then request final payment. Please don’t worry if numbers change after this, please just contact Isabel or Sue and they will make any necessary changes. In the days prior to the wedding please feel free to contact Sue or Isabel for advise support or if you need them! 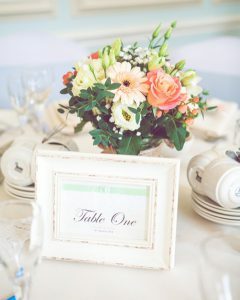 Any table plans, decorations etc. can be brought to the hall in the days prior to the wedding please talk to Isabel about when you would like to deliver these. Please note that we can’t guarantee to be able to let you in the room on the day before as the room may be in use, but you can bring any items that you would like and we will store them for you. YOUR WEDDING DAY FINALLY ARRIVES AND WE ARE ALL HERE TO ENSURE THAT IT IS A MAGICAL DAY.